I remember reading on Twitter and Facebook about Rebecca Black. Social media was blazing about this horrific song/video. Like one of those police car chases they show on TV from time to time, I was intrigued and had to look. This article is about my two cents about the music video and more about the plight of the indie artist and what it takes to get noticed. In the past, let’s say, about twenty to thirty years ago, in order for musicians to get their music out on a national and public scale, they needed to get signed by a record label. There was no getting around it, you needed to play the clubs, hope for an A&R man (Artist & Repertoire) to scout you, meet the head honchos, then they would brand you, or “develop” you. Create your look, prepare you and get you ready, and then you would make albums, tour and become a star. The name of the artist game has changed significantly in the past few years, and it’s still changing this very moment. What’s going on? The internet. The internet kind of gave the public their own right to pick and choose the music that they wanted to hear, from all over the world. The public didn’t want to pay $20 for an album of one or two good songs and the rest crap. They wanted to buy that one or two songs (or download for free) and ignore the rest. The record labels crumbled, but wait, not so fast, it’s not what you think it is. In a way, it was good for indie artists and musicians. Indie artists, if they were good enough, almost in an American Idol fashion, could be voted into the mainstream if they got enough hits on Youtube or Facebook. A&R guys changed their game, instead of being discovered in a club, they’ll look for the next big thing on the internet, if you’re already generating buzz, then you’re a surefire hit, and probably a gain to the company. But, for the first time, indie artists who didn’t make it big, could make a living touring, making music without becoming huge names. If you hit the right niche market, you could tour and use social media and the internet to gain fans, you can release music yourself and do it all yourself. The DIY Musician was born. But, again, it’s not what you think it is. The DIY Musician can only get so far. Without a record label, the DIY Musician cannot get national, or international stardom without the big marketing campaigns the record labels have under their belts. And then, there are those who are lucky enough to get national attention with that ONE Youtube video. Greyson Chance, the Lady Gaga covering kid, got major attention after a flawless cover of one of Gaga’s classics, “Paparazzi”. Rebecca Black, an indie artist also found fame, for all the wrong reasons. Rumored that her parents paid $2,000 for a demo (the going rate for a demo is $1,500 per song from producers, believe it or not), Black made a song that was called one of the worst songs ever made. Her tone is flat, even aut0-tuning couldn’t really fix this song. The lyrics might as well have been from a Dr. Seuss book. It was a train wreck that everyone had to watch. In spite of that, it was such a mess that it made her famous, she got into the iTunes Top 100 charts, and that $2,000 investment her parents made was the wisest choice they probably have ever made. I heard from someone on Twitter, and I’m kicking myself that I didn’t write it down, but they basically said you have to be really good in music or really bad, you won’t get noticed if you’re in between. 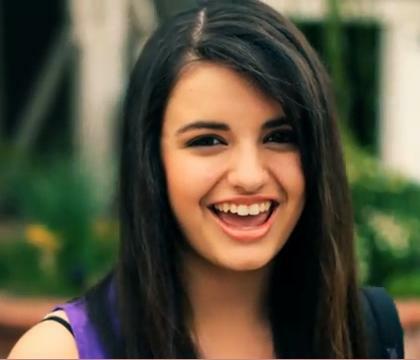 Rebecca Black was really bad, and it paid off. Social media helps indie artists, the really good ones do get through and unfortunately, so do the really bad ones. There is a way for indie artists to get out there, do-it-themselves and follow their dreams. Instead of the record labels controlling what we hear, more and more the public is taking what they hear, and dictating what they like, even if they don’t like it, and making it popular. An interesting time in the music business. Great analysis of the whole “Friday” debacle. The web has changed EVERYTHING in regards to pop culture and instant fame. We’ll see if this girl emerges from this disaster with any sort of music career at all. Either way, her daddy’s rich so she has no real worries anyway. Now that I think more about it, Rebecca isn’t getting most of the money from this song, the song writer and producer are, because they wrote the song and will be getting most of the royalties. As an artist, depending on what kind of contract she signed, she would get 15% of profits from each song. So, the songwriters are making bank. But, as far as her career, if she made it onto iTunes and now there is a Glee version coming up of “Friday”, she will have a career… she can either keep making fun of herself, which will probably make more money, or try to be serious, and I don’t think listeners will take her serious for long.